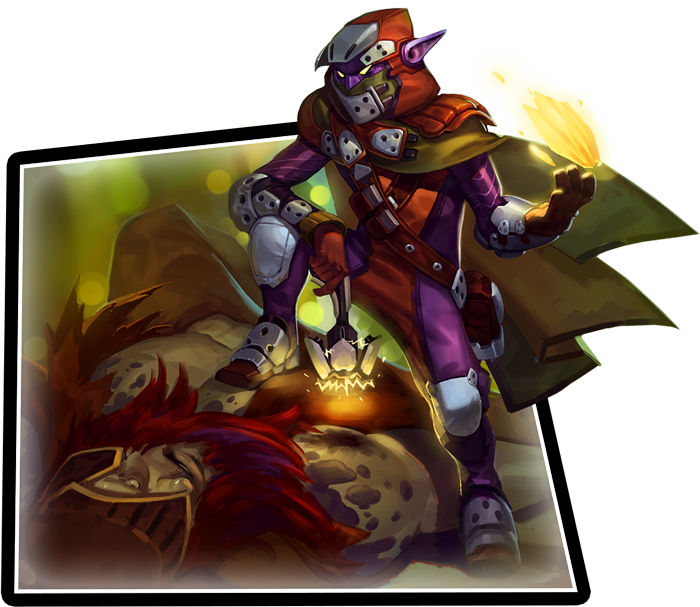 In KeyForge, you and a chosen rival become Archons battling for the countless hidden Vaults scattered across the Crucible, an artificial planet in the center of the universe. By uniting three of the Crucible’s Houses, the Archons hope to form powerful teams whose strengths come from cooperation and coordination. 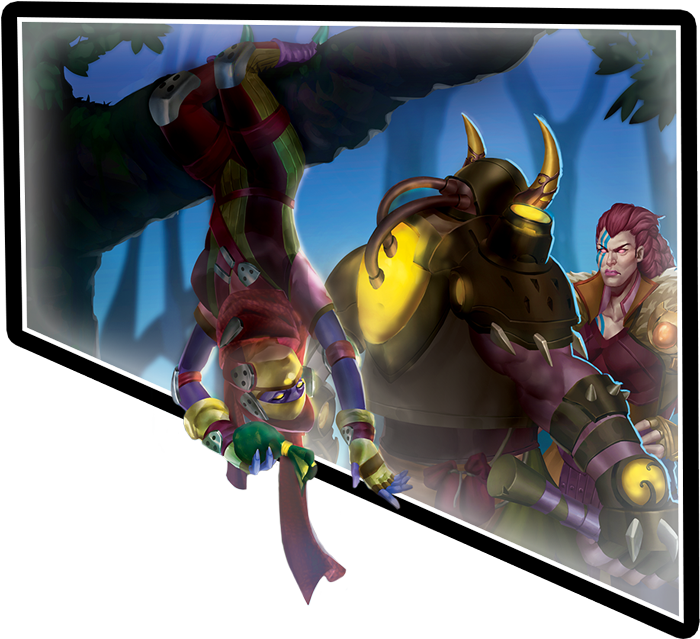 To earn victory and unlock the Vaults’ secrets, however, you must outwit and outmaneuver your opponent in contests of cunning and strength. And when it comes to trickery and subterfuge, there are no better allies than the elves and other creatures of House Shadows. Relying on their cleverness to survive, members of this motley faction specialize in speed and stealth, skills that may prove invaluable in the battles to come. 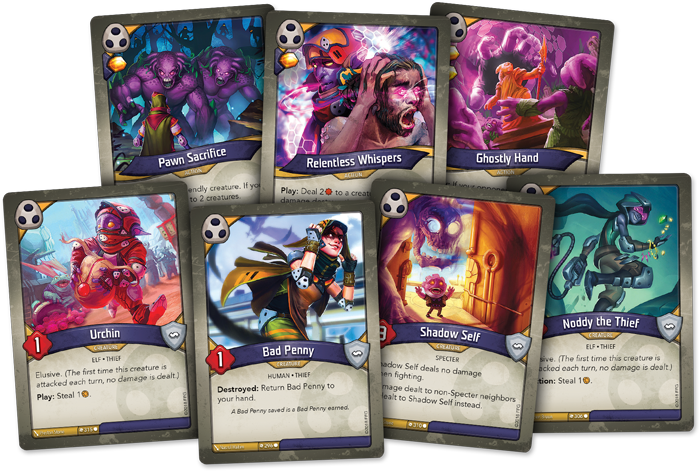 Today, we're pleased to offer you a closer look at the cunning House Shadows of KeyForge: Call of the Archons—now available for pre-order at your local retailer or online through our website! The Architects brought countless creatures and civilizations to the Crucible. Some work to preserve their old ways, while others embrace the new world and adapt quickly to survive. Perhaps none have made this change more quickly than the Svarr elves who are at the heart of House Shadows. 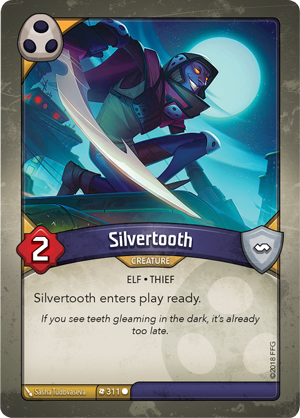 The Svarr are diminutive in size, often featuring lower power, as seen with creatures like Silvertooth (Call of the Archons, 311) and Carlo Phantom (Call of the Archons, 298). 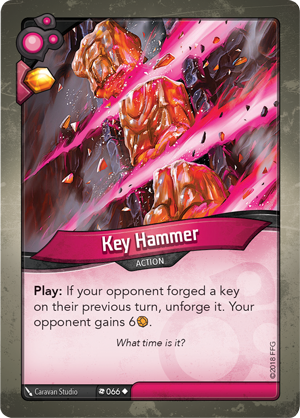 This lack of physical strength could seem to be limiting in the chaotic clashes of KeyForge, but some among their ranks have found ways to work around these limitations. 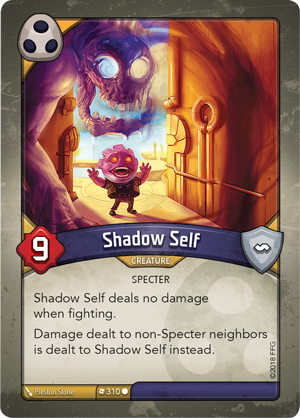 The spectral Shadow Self (Call of the Archons, 310) can protect its neighbors, ensuring they can gather as much Æmber as possible before an enemy wipes them from the battlefield. 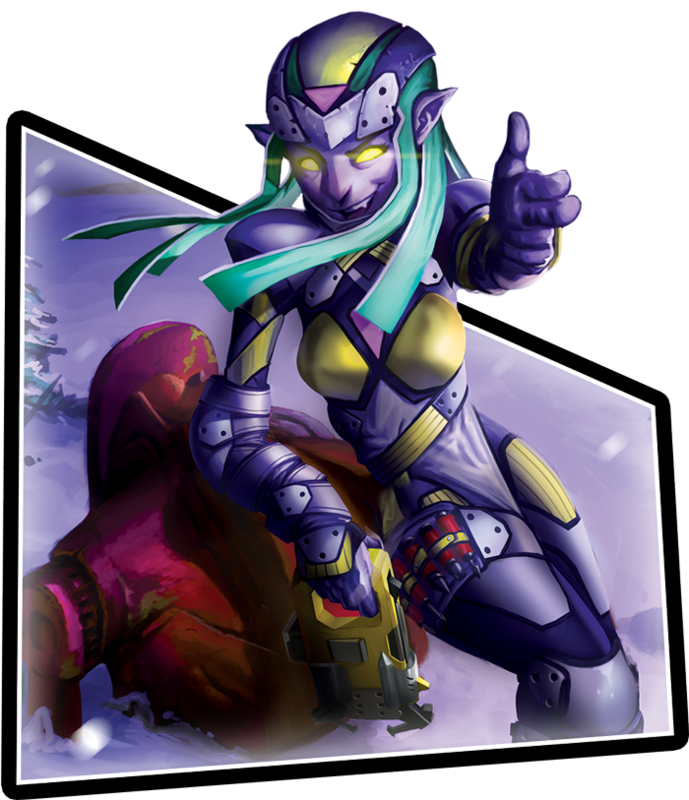 Even aside from ethereal protectors, well-planned schemes can eliminate the need for physical confrontation altogether. 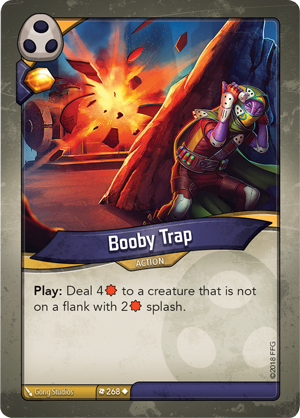 For example, laying a Booby Trap (Call of the Archons, 268) deals four damage to a creature that is not on a flank with two damage splashing to each of its neighbors—all without putting any of your creatures in harm’s way. When it comes to Archon clashes, House Shadows’s motto could be: hit them quick, get out fast. 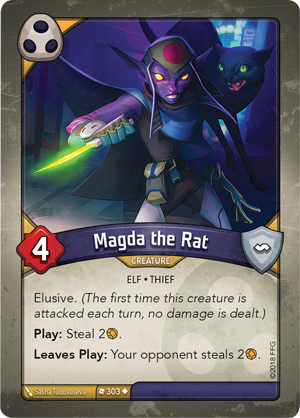 Characters like Magda the Rat (Call of the Archons, 303) feature the elusive keyword, which you'll also find on plenty of other Shadows creatures. The first time an elusive creature is attacked each turn, it's dealt no damage and deals no damage to the attacker. 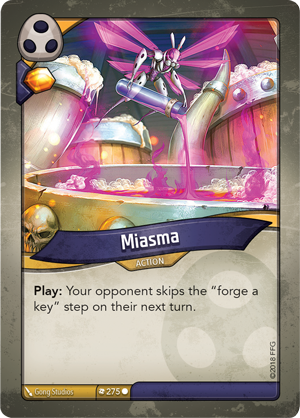 While this keyword still leaves the creature vulnerable to damage done by keywords and other card abilities, being quick on one’s feet is an invaluable skill that can mean the difference between victory and defeat. While the Svarr make up much of House Shadows, their guilds are not exclusive. Any human or other species who can prove their value is welcome among their ranks. Once one has earned admittance to one of the guilds, members accept a strange set of rules, at once selfless and vicious. While a guild memeber will sacrifice anything to protect their guild, they will exploit the weakness of any outsider for full profit. This code can be seen in the technology of House Shadows, much of which is “borrowed” from other Houses. Some among the Svarr, like Umbra (Call of the Archons, 314), have even learned how to reprogram the faeries of House Untamed, which they keep as assistants or pets. 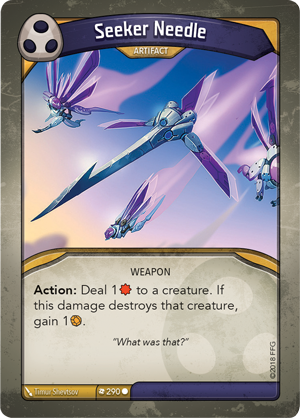 One use for the faeries’ technology that the Architects probably did not intend is the Seeker Needle (Call of the Archons, 290), which deals one damage to a creature and earns you an Æmber if your target is destroyed! While this can act as the finishing blow to an enemy, this artifact also has unexpected synergy when used against members of its own House. 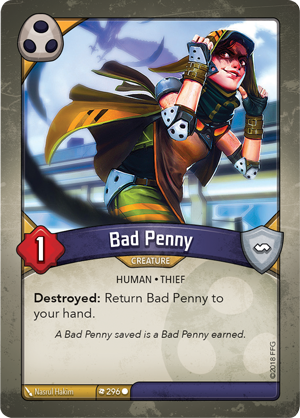 You can pair this artifact with Bad Penny (Call of the Archons, 296) to destroy her once you have already used her to reap. 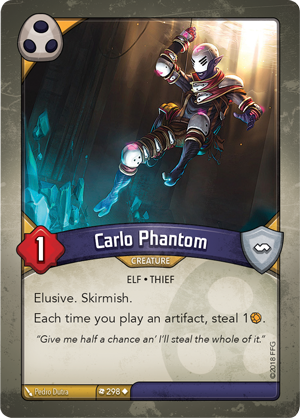 But rather than being destroyed, this clever thief simply returns to your hand, where she can immediately be played again as long as Shadows is the active House. If you happen to also have a Speed Sigil (Call of the Archons, 293) at your disposal, you can even have her enter play ready and reap again! Given their own… unique morals, the members of House Shadows are suspicious of any outsiders, but it is difficult to turn away an Archon. Their ability to communicate with every being on the Crucible is supremely helpful for setting up deals, and as these ethereal beings often only have a loose understanding of personal property, they don’t tend to be too judgmental of the Svarr’s light-fingered tendencies. 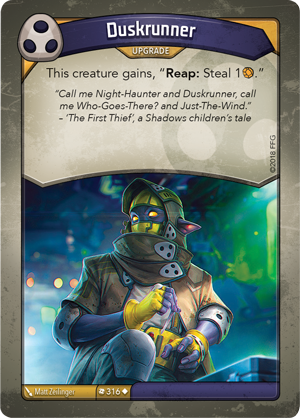 Rather, they encourage House Shadows to train others in the art of thievery with the Duskrunner (Call of the Archons, 316) upgrade, and they have no qualms about sending a faerie to drop a little Miasma (Call of the Archons, 275) in an opponent’s drink. 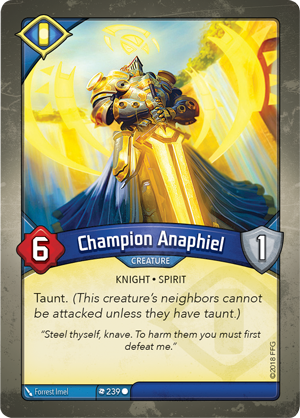 If the Church of the Opened Eye is also willing to turn a blind eye to their less noble work, House Shadows can work well alongside Sanctum allies like Champion Anaphiel (Call of the Archons, 239), who can lend weaker creatures protection while they work. Yet while angelic knights may provide a degree of protection for the elves, an alliance with the demons can prove to be a powerful combination. 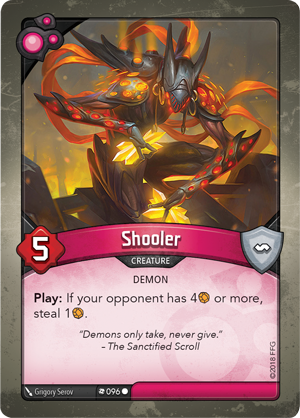 It’s difficult for a thief to steal Æmber if there’s none to steal, but if you are aligned with House Dis, you may use a Key Hammer (Call of the Archons, 66) to break an opponent’s key back into Æmber, then have Shooler (Call of the Archons, 96) or your House Shadows minions steal what remains. 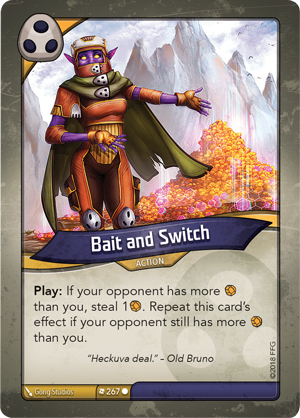 But before you even begin reaping and stealing, you'll want to have one of your House Shadows allies pull the oldest trick in the book, the Bait and Switch (Call of the Archons, 267). 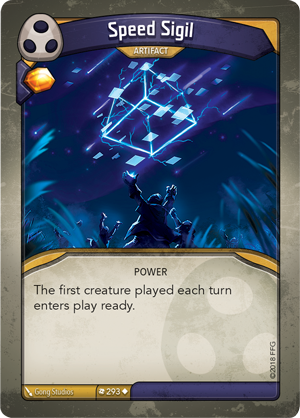 If your opponent has more Æmber when you play this action, you get to steal an Æmber. Then, so long as they still have more than you, you can steal one more… and maybe just one more… and what's another Æmber going to hurt? 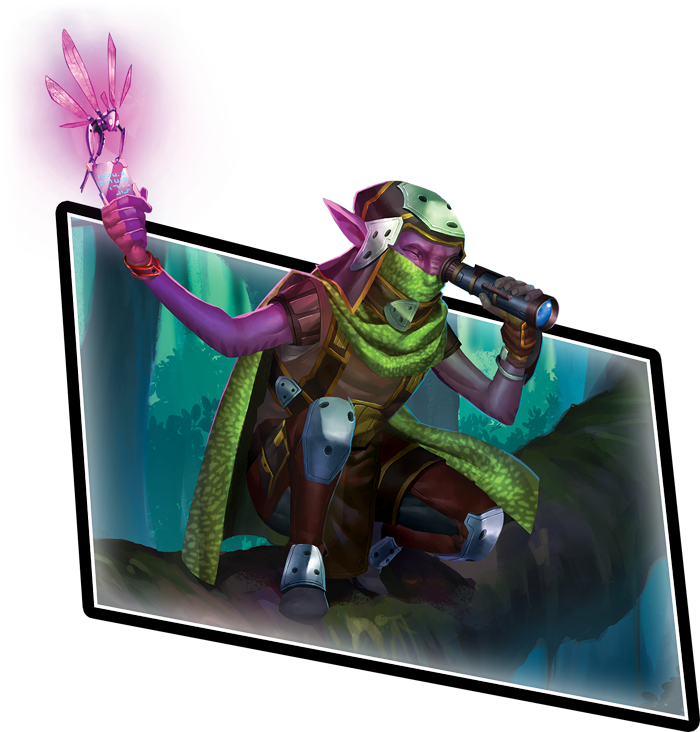 By the time your opponent notices their Æmber slipping away, the Svarr will be safely hidden in the Shadows, waiting until the time comes to strike again. 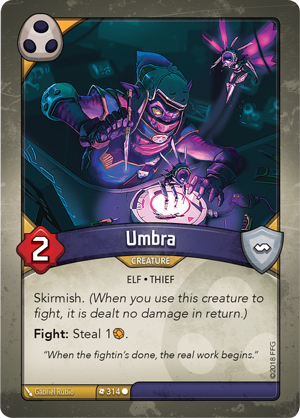 The Archons will soon be leading their teams into battle, but brute force comes second to the vital gathering of Æmber, and there are no better allies for this task than the clever thieves of House Shadows. Their mastery of stealth and their ability to execute covert heists make them priceless friends, but the question remains—do the guilds see you as a friend they would lay down their lives for, or are you just another mark? 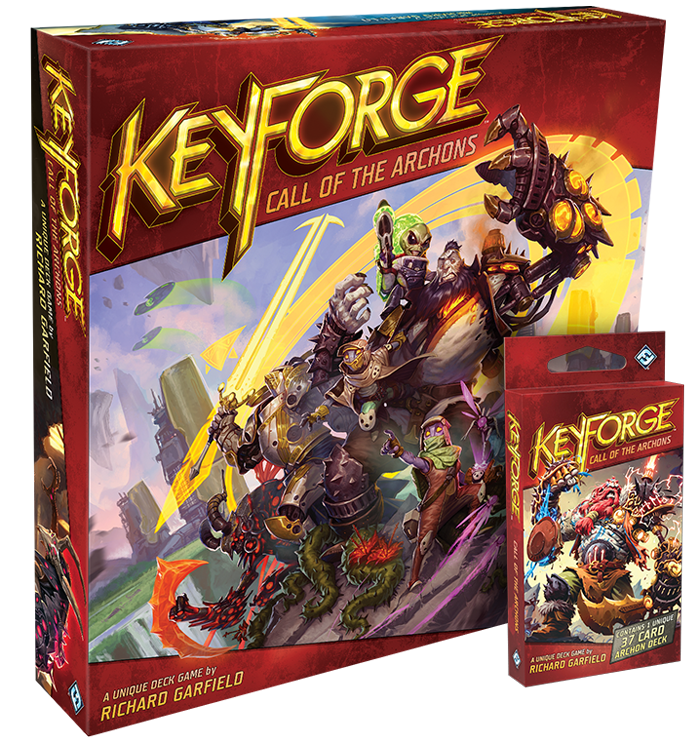 Pre-order your copy of KeyForge: Call of the Archons (KF01) and your collection of unique Archon Decks (KF02a) at your local retailer today or on the Fantasy Flight Games website here!